we have tagged an updated 2018.327 release on Github . The main change is the addition of the caps_plugin to Seedlink which allows to acquire data from our CAPS waveform server, e.g. data from the RaspberryShake network. Additionally two minor bugs were fixed with a contribution from Luca Scarabello / ETHZ. Thanks a lot. In scolv amplitude review window you can now decide whether to use the configured minimum SNR from the bindings or the value set in the GUI. The default is to use the bindings parameter to be able to reproduce the automatic processing. In case you want to override the configured minimum SNR, check the override option (left to the SNR spin box) and set the value as desired. More documentation has been added for e.g. sccnv and many parameters descriptions received a description of their unit. Thanks to Andres Heinloo a bug was fixed in inv2dlsv when writing FIR continuation blockettes. I need yo add several stations MY (ahttp://ds.iris.edu/mda/MY/) nd MS (http://ds.iris.edu/mda/MS/) in GFZ_inventory.xml. Help me. please how to do that? Many thanks. what about master branch… which version is it? I have not update my sc since the beginning 2018 i guess, so today I compiled master branch. It compiled well, but my sc won’t connect to database. Can you please elaborate how to migrate from 0.10 to 0.11. Dear jan, I used latest master branch, but everytime i create event from scrttv, suddenly scolv is crashed and killed. Thanks a lot for spotting that. Yes, it is a bug and I have pushed a fix. Please give it a try and I will create a new patch release. Unfortunately this is a regression from a recent change. How to keep it as it is after install new version? Does the commit fix the crash for you? Which settings does the installation overwrite? You should never modify files which are shipped with the distribution. If you want your own version of cities.xml, put it under ~/.seiscomp3/cities.xml. When i try to update seiscomp with the last release the scmaster stops run. In the past i never have the similar problem. The SO is the OpenSuse 13.1. Is there any step that i need to do before? e! This should be fixed! 2019/03/18 15:14:20 [error/DbPlugin] Strict version check is enabled and schema versions do not match. OpenSuse 13.1. Is there any step that i need to do before? schema versions do not match. Sounds like you need to update the database schema before you can proceed. experiencing problems with the scvoice module. Do you have any guess where the problem might be? 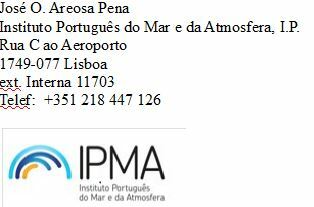 You added an agencyID filter for “IPMA”. Is the agencyID of the preferred origin for that event from agency “IPMA”? If not then it will be filtered out. You can remove the filter if you remove agencyIDs from your config. Yes, we use with preferency the designated agency, as in last years at all older versions we did it. In one second server that we have also the seicomp Jakarta, running OpenSuse, we have back to the anterior version and installed again the jakarta 2017.334, and scvoice runs again calling the scrip to send emails. So I don´t undesrtand whats happen with this last version. Can you check line 252 in scvoice.py and maybe add some debug print output? Not sure if it is related to this. You can also add some prints in notifiyEvent and check if that ever gets called.